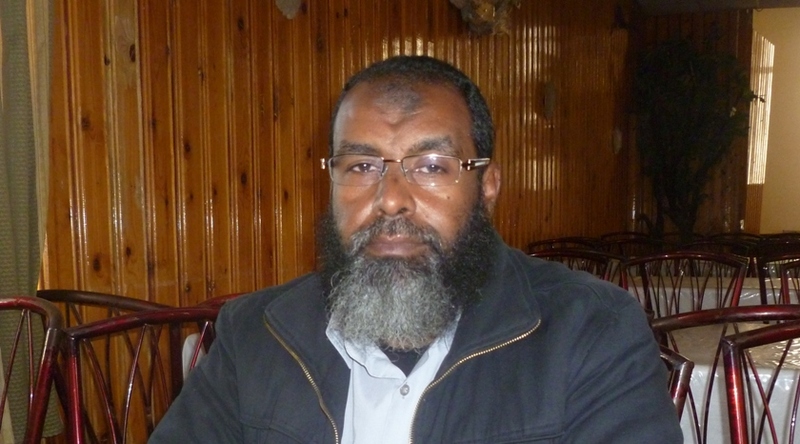 A few months ago, before President Morsi was deposed, I had the chance to interview Hani Nour el-Din, a member of al-Gama’a al-Islamiya who was elected to the most recent parliament. His group is still considered a terrorist organization by the United States, but they formally gave up violence as a doctrinal strategy in the early 2000s. This fact – indeed question – is very important now that Islamists find themselves outside the political spectrum. They gave up violence at a time when there was still no means to enter Egyptian politics. The revolution opened up political space, but now it appears closed. Will the group decide they made a mistake – that the only way to transform Egypt into a political state is through a violent seizing of power? This is a very necessary question to put to al-Gama’a al-Islamiya now. But in the meanwhile, here is a window into the group’s thinking while they were on the winning side. The interview was reduced and published by the Middle East Institute. Please click here to read the article. But here on the blog I will post parts of the interview that had to be trimmed for space. Part One here will concern Nour Eddin’s personal history before his group gave up violence. Part Two, in a few days, will concern his views on violence, whether or not the party truly has abandoned the principle. Please enjoy. My name is Hany Nour Eddin and I represent the Building and Development Party and serve on its high council, and was a member of parliament in 2011 before it was dissolved. I got to know IG in university, when I joined it and engaged in a number of student activities and preaching campaigns. After university I was arrested and spent many years in prison. This is where I became better acquainted with the group’s leadership. I have read about this experience, and you maintain your innocence. What happened during this clash with police? Here in Suez we were giving lectures in opposition to Hosni Mubarak and his remaining in the presidency. It was around 1993 and the GI organized a campaign called ‘No to Mubarak’. The state line was to forbid any opposition to the renewal of his presidency. We organized a large exhibition against him and spoke about the damage he was doing to the country, whether politically, economically, or otherwise. So he gave the order to security to stop the campaign, and to do so forcefully. A large number of police arrived and we understood we needed to withdraw, but were surprised at the gunfire that began as we were doing so. One the bullets struck an officer accidentally, and a campaign was launched against us accusing us of killing him. Someone from security, as the bullet hit him from behind. Part of their tactic was to disperse the crowd with gunfire, but he was hit from close range. Afterwards we all started getting arrested. What was your role in GI at this time? Did you organize the exhibition? Yes, I supervised it, collecting pictures and articles to help educate the people. The level of arrests practically stopped the work of GI in Suez, except for taking care of the families of those incarcerated. So if you were imprisoned unjustly, why were you released later on? When we were arrested they wanted to dissolve the Islamist movements, and especially our operations, targeting even our preachers. A violent clash took place between us and the police which became an armed struggle, targeting leaders on both sides, including Mubarak himself on many occasions. By 1974 we realized the struggle was shedding the blood of the nation in general, and not just of the GI. We wanted to overthrow the state, but our violence was met by greater violence by the regime. We considered that we were defending ourselves, but it resulted in oppression and hostility, which reached even our families and relatives. It was not good. So we undertook a campaign in the prisons, suggesting a unilateral cease-fire, stopping all violence against the regime, both inside and outside Egypt. It is important to note the whole time, even from outside, we targeted only Egypt and were working on its behalf alone. This is opposed to al-Qaeda, for example; we specified our conflict and goals were only against the regime. By 1979 we launched the non-violent initiative officially, opposing all violence against the regime, whether in the media or with weapons. For a period of time we tried to send this message to GI members internationally, while we waited for a response from the government. Unfortunately the regime did many things to undermine our credibility, representing us falsely. But by 2000-01 they accepted the initiative. We published our ‘Revisions’, publicizing them first in the prisons and then internationally. They began releasing us from the prisons, and I got out in 2005. So you found normal work to do? Yes, after the necessary legal procedures, I returned to my job in the Suez Canal Company. I have a BA in Agriculture but my work with them is administrative. But you have the time to take off work and talk to me today? (Laughing) Yes, it’s normal, it’s ok. So from 2005 until the revolution, what were you doing for GI? We chose to work in preaching, rather than in organization. We would meet in mosques, talk to the people, and engage in social work – helping the poor, the orphans. Were you a preacher in the mosque? Sometimes, but not much. I served on the Shura Council of the GI in our governorate. Served? But not any more? Since we started the political party it has taken my priority and I left the Shura Council. Politics is different than preaching and social work. But we agreed to keep the party as the political arm of the GI for about two years until its administration is complete and mature. Then it will become independent, and when the appropriate laws are passed the GI will register legally also. Please click here to continue reading the interview at Middle East Institute.